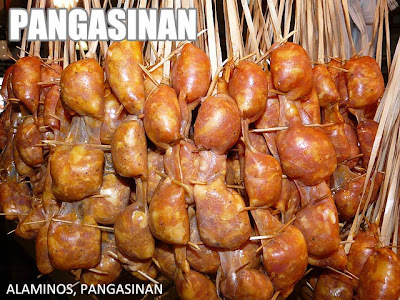 Longganisas from Alaminos, Pangasinan are unique because of the toothpicks they use to divide the segments. Each length has six pieces and is hung using a buli grass string. This longganisa would fall under the derecado garlicky (or mabawang) category. This was taken at the private market under Nepo Mall in Alaminos, Pangasinan. Sa Lahat ng Longanisa,sa Buong Mundo Itong "ALAMINOS LONGANISA" ang PINAKA-LIIT! At PINAKA-KAKA-IBA!dahil may Toothpick! But Ito ang PINAKA WORLD-SARAP!!! SA BUONG MUNDO. 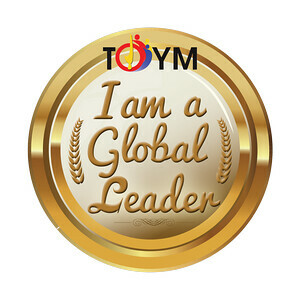 AT ITO'Y TOTOO!!! !-bartskee,new york,u.s.a.